"WOULDN'T FALL BACK…Very few of the young men of this generation know much about the late Col. William Pillow, although he has been dead more than a year, and passed a life having more remarkable events crowded into it than any other man in the county. He was 100 years old when he died; having been born before Humboldt and the real Napoleon. During all his early manhood his was a soldier's life, fighting Indians and enduring the hardships of frontier life. There are enough incidents, of a historical nature, to fill a huge book, and yet so quite and unpretentious was his life near Bigbyville, that no one knew when they met him on the road that they were passing one who was in many respects a "grand man". "He had the fine sensitive instincts of a woman united to a lionic courage, and the purity of a young girl. He possessed sinews of iron and even up to his death, he walked as martially upright as old Hickory himself. The 8th day of Nov last Sunday recalls to mind one of the incidents of his life. "On the 7th of Nov. 1813, Col. Pillow commanded a regiment of Tennessee troops under old Hickory. Gen. Jackson's aide-de-camp, Capt. Sinclair, rode up to Col. P. and ordered him to go up to a certain ravine, while the main army under the General would take a different route. "If you meet the enemy," said Capt. S., "fall back immediately." The Colonel replied emphatically, "I'll do no such thing-I will not fall back." Away went the captain and promptly Gen. Jackson rode up furiously and demanded in a stern tone, "Col. Pillow, what is this I hear-do you refuse to obey my orders?" "Yes, sir, I will not fall back in retreat after I once become engaged in fight. I will not leave my wounded men on the field to be scalped by the demons. But, General, I will 'hold them off' till you come up." The face of Jackson melted in an instant from inflexible rigidity into a bland smile of pleasure, and his porcupine hair smoothed down, as he said quickly, "all right, Colonel, all right, just fight 'em til I come up. All right." "They met the Indians the next day and the world knows the result. Some time after this event on a certain occasion, Gen. Jackson became very violent at some reports (section here illegible) and said he would cowhide any man who started the report. "No, you won't," said Gen. Roberts of Rutherford Creek, "You will do no such thing. You will not cowhide this man, he is not to be cowhided by mortal man. It's Colonel Pillow." It is hardly necessary to say no more was heard of cowhiding." "On Sept 10, 1849, Robert N. Martin, M.D. and R. C. K. Martin, M.D. made a report that placed Pillow on the pension roll for having received a wound from a rifle ball "which entered the left 'hypochondriac' region and passing through the 'abdomen' was lodged in the right side, just above the crest of the 'ilium' from which it was cut out by the Surgeon of the Army, who attended him when wounded; the wound had caused and now causes great pain and contraction of the abdominal muscle and general debility; was wounded while in the line of his duty, and in the said service, on or about the 9th day of Nov. in the yr 1813 at a place called "Talladega" in the (then) Territory of the Creek Indians and is not only still disabled in consequence of the said injury. From his pension record, Col Pillow lived briefly in the 1840's in Madison County, Tenn. For further information on his Indian fighting days, refer to Ramsey's Annals of Tennessee, pages 474,477, 485, 486, 612, 613, 615. "Col. Pillow was dropped from the pension roll by the act of Feb. 1862. Took oath of allegiance on Jan. 10, 1864, and was reinstated Jan 10, 1866 at the age of 96 when he said he did not bear arms nor in any manner encourage rebels or sympathize with their cause." I have no further information on William’s descendants. Please let me know if you have anything further! 2. 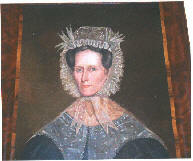 Elizabeth Pillow was born 1773-1778 in Guilford County, NC. She married (1) William Murry 16 Jul 1795 in Davidson Co., Tennessee. 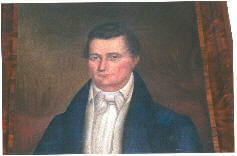 He died circa Jul 1802 in West Harpeth River, Maury Co., Tennessee. She married (2) Thomas Latchin Due (Dew) circa Nov 1802 in Williamson Co., Tennessee. I do not know when she died. 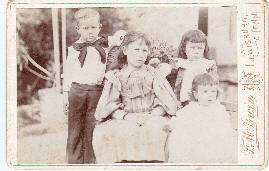 1) William E. Due, born 1804 in Glendale, Maury Co., Tennessee; died Unknown. 2) John Wesley Due, born 1809; died 1852 in Memphis, Shelby Co., Tennessee. He married Nancy Ann Spence. 3) Elizabeth Due, born 1810; died Unknown. 4) Willford Due, born 08 Dec 1812. He married Barbara Powell 24 Jun 1835. 5) Nancy Due, born 1815; died Unknown. 6) Latchin Thomas Due, born 1817; died Unknown. 7) Mary Due, died Unknown. 3. Gideon Pillow was born 30 Sep 1774 in Guilford County, NC. Gideon Pillow lived on Little Bigby three miles south of Columbia. It was several years after that before he settled the Pillow place in Giles at Wales Station. Not only did they become wealthy, but Gideon and Anne Payne Pillow, who are buried in Rose Hill Cemetery, Columbia, TN, were parents to one of the most controversial American military commanders of the era -- Gideon Johnson Pillow Jr., who served as a major general in the Mexican-American War and brigadier general for the Confederacy. Gideon J. Pillow served as Attorney-General for Maury County, TN, at one time. 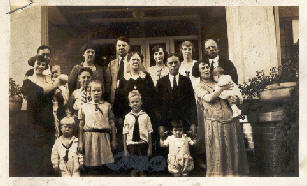 Gideon married Anne Payne, who was a descendant of Dr. John Woodson. She was born on 20 Feb 1777. She died on 10 Apr 1864, and is buried in Maury County, TN. Gideon died 20 Feb 1830 in Columbia, Maury County, TN. They are both buried at Rose Hill Cemetery.